It’s the next installment of one of Arkansas Brews Cruise’s most popular tours, the Meet the Brewer tour. This one is a benefit tour with half your ticket price going to STOP Inc Students That Officially Patrol. 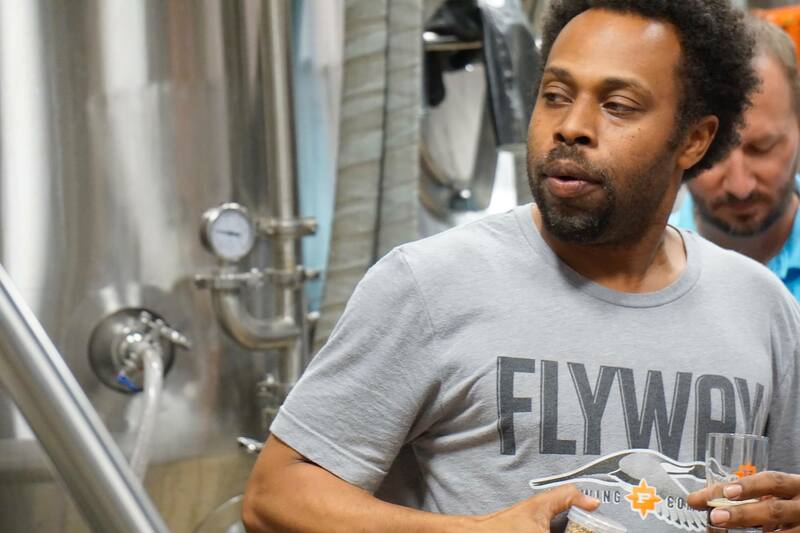 Odell Lil’o Thomas is the head of tours at Flyway Brewing and is one of the most recognizable personalities in the Central Arkansas Brewing scene. He is very active with the Central Arkansas Fermenters club, and is always in collaboration with other breweries like Vino’s Pizza-Pub-Brewery and the The Water Buffalo and Buffalo Brewing Company. Odell always brings a smile to whomever he meets and is sure to make you laugh. He is also very active in the local community leading volunteer projects for STOP Inc Students That Officially Patrol, a local non-profit teaching students leadership, respect, education and cooperation. We love all the hard work Odell does and that is why this tour will be a benefit for STOP with half of all ticket sales going to the non-profit. So come on out and enjoy the best breweries in the Natural State with one of the best people around, book your group now. Price includes Local Beer Guide/Driver, Behind the scenes tours, Educational topics, Generous Beer Tasting Flights and the opportunity to hang with a local craft brewer.